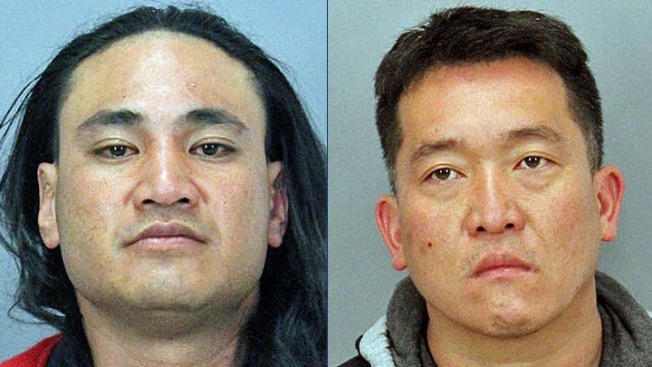 Two San Jose men were arrested in Milpitas last week on suspicion of identity theft and drug possession, among other offenses, according to the Milpitas Police Department. Allan David Yap, 38, and Hoi Soo Yang, 36, were detained initially after officers contacted them inside a vehicle in the parking lot at the Best Western Brookside Inn Hotel and saw drug paraphernalia in plain view, police said. Both men at first gave false identities to the officers, and when their true identities were revealed, they were found to have outstanding warrants for their arrest, police said. During a search of the suspect car, a silver 2003 Acura, officers found several pieces of stolen mail, identities and credit cards from residents in Milpitas, San Jose and Los Altos, police said. Yap and Yang were booked into the Santa Clara County Jail for their warrants, and the identity theft investigation is on-going, police said. Anyone with information about the suspects or the case should call the Milpitas Police Department at (408) 586-2400. Information can be given anonymously by calling the Crime Tip Hotline at (408) 586-2500 or via the Milpitas Police Department website at: http://www.ci.milpitas.ca.gov/crimetip.